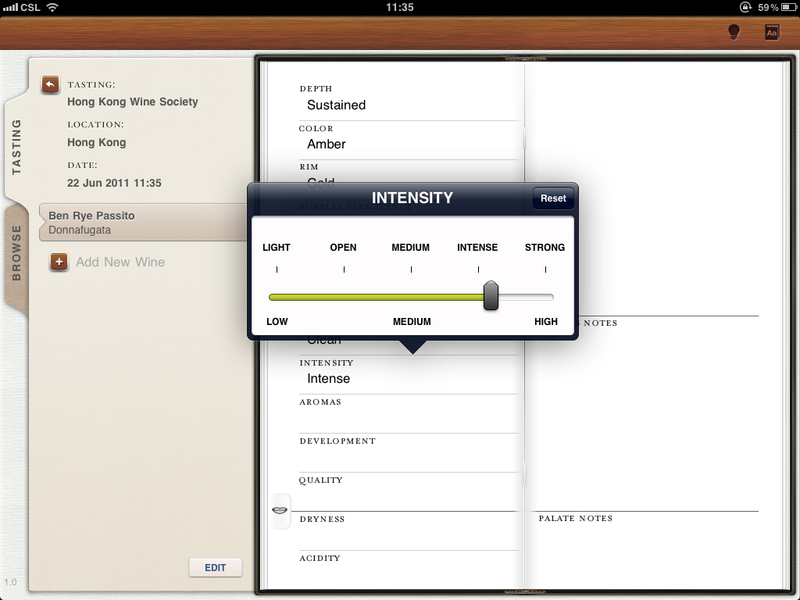 Winescribe, a serious Ipad app to effortlessly record tasting notes...Now available! 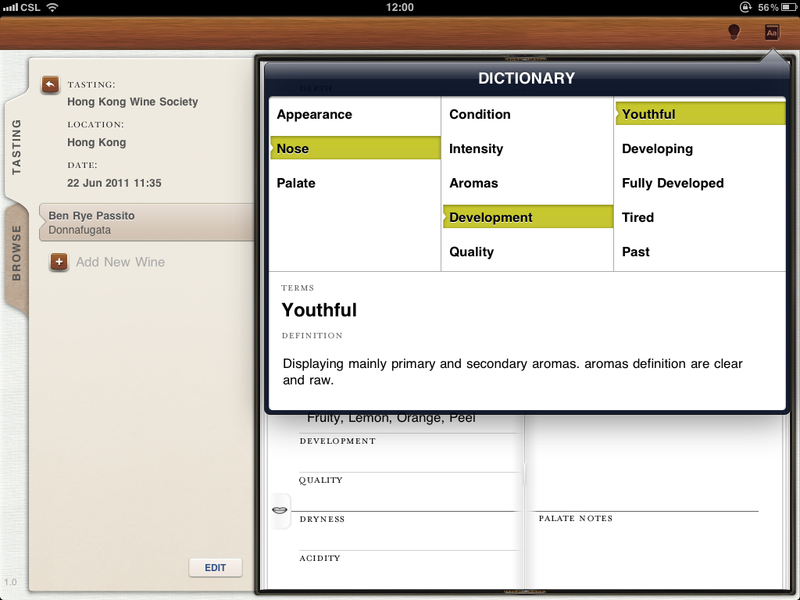 Winescribe is a killer wine app developed to record wine tasting notes in a complete and systematic way. Fully searchable to quickly and easily retrieve notes from previous tastings, it can be exported into a Microsoft Excel spreadhseet. Designed to increase focus on tasting and minimize inconveniences of writing a note. Winescribe is simple, seamless, and practical. No more clumsy, unreadable notes because of overcrowded tasting rooms and the impracticality of handling a glass, a notebook, and a pen while tasting and concentrating on the wine all at once! ★ Organized by Tasting Events. ★ Structured in a systematic method to tasting for complete and consistent notes. ★ Several easy to use drop-down lists and sliding scales with tasting terms to quickly select and minimize typing. 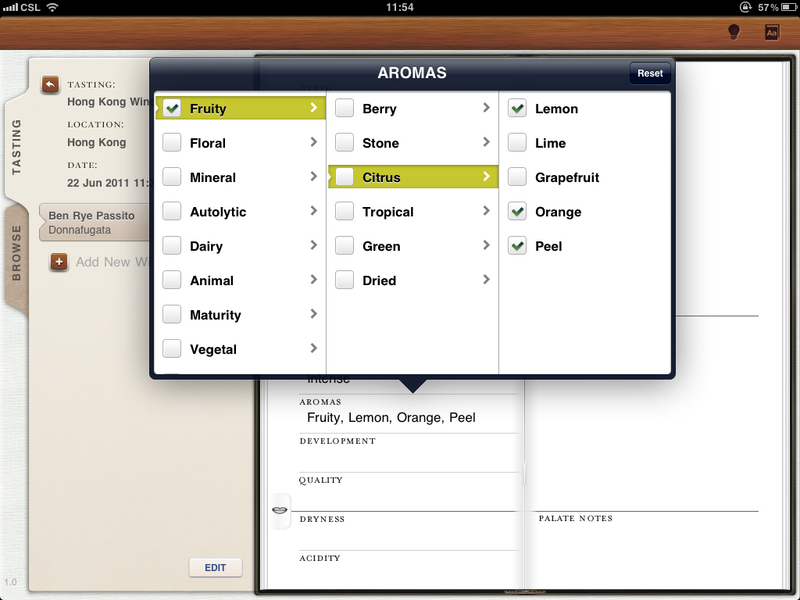 ★ Intuitive and seamless navigation from one tasting category to another to maximize inspiration while tasting. ★ Includes a 100-points scale to rate each wine. ★ Many sections to records additional notes. ★ Fully editable notes at anytime. ★ Exportable to Microsoft Excel Spreadhseet. ★ Glossary of wine tasting terms. 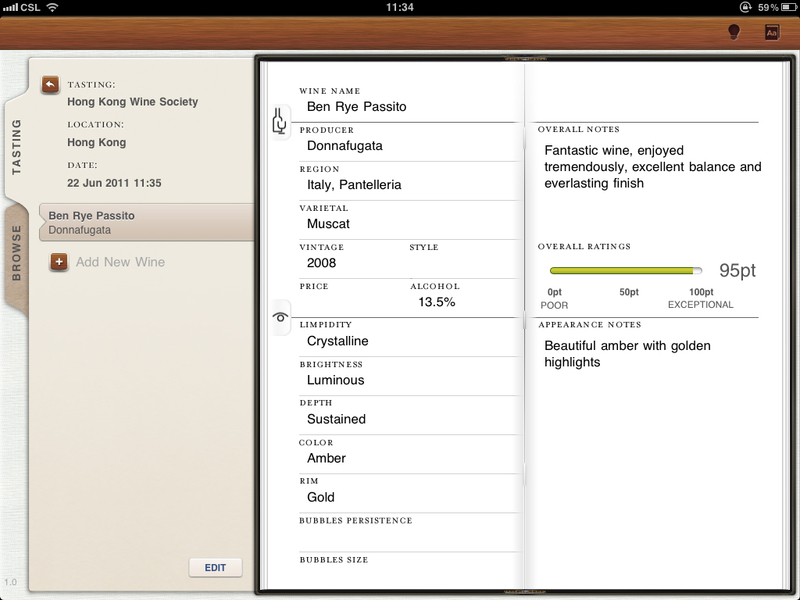 Winescribe is available at any Ipad App Store around the world. Click here for more info. We are committed to continue improving Winescribe and we are very receptive to feedback and suggestion. Please contact us at: contact@grandepassione.com for any comments and questions. 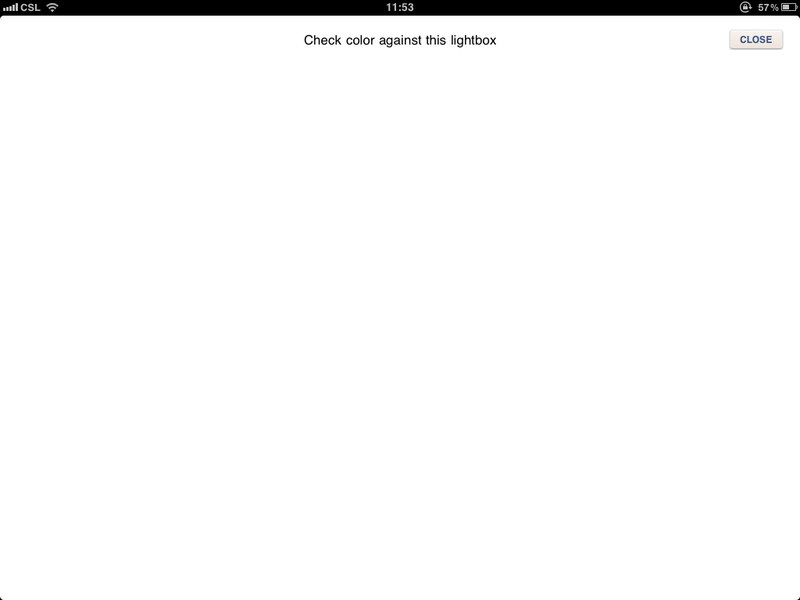 If you enjoy Winescribe, please do not hesitate to refer the app to your friends and colleagues.